A wintry view of Jacob's Ladder beach in Sidmouth. The beach is so called because of the set of wooden steps from which this photo was taken. 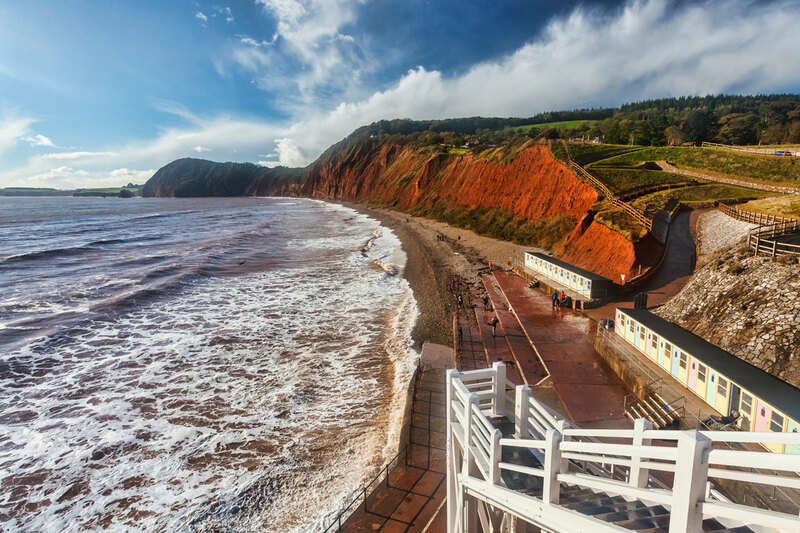 Separated from Sidmouth's main beach by Connaught Gardens, Jacob's Ladder beach is a quieter alternative.